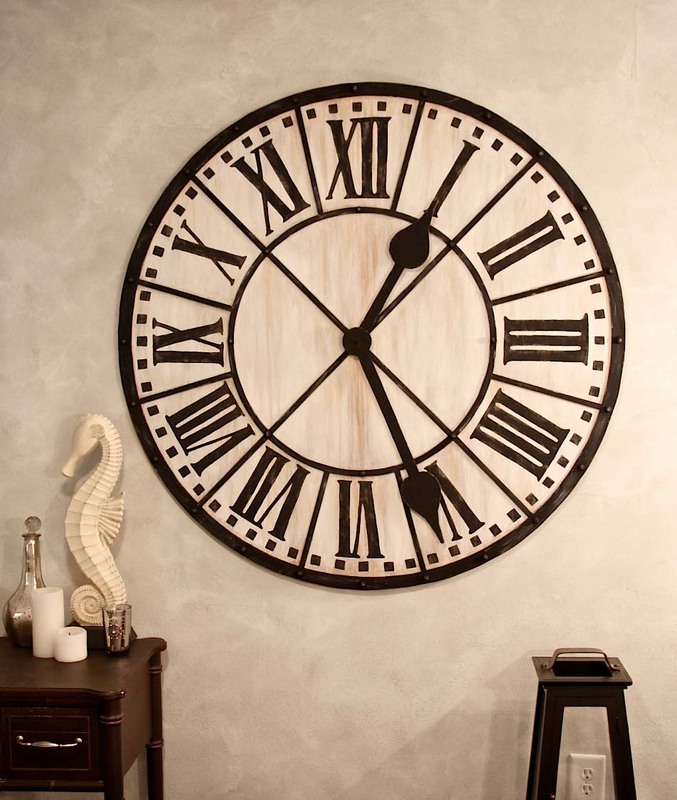 Large wall spaces, cathedral ceilings, and open wall areas serve as an optimal spot for a room to feature a large, creative wall clock. 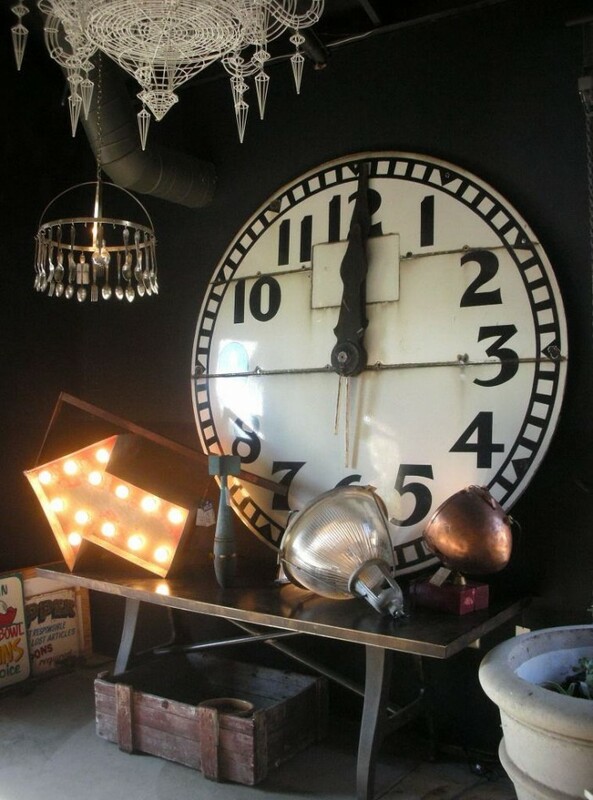 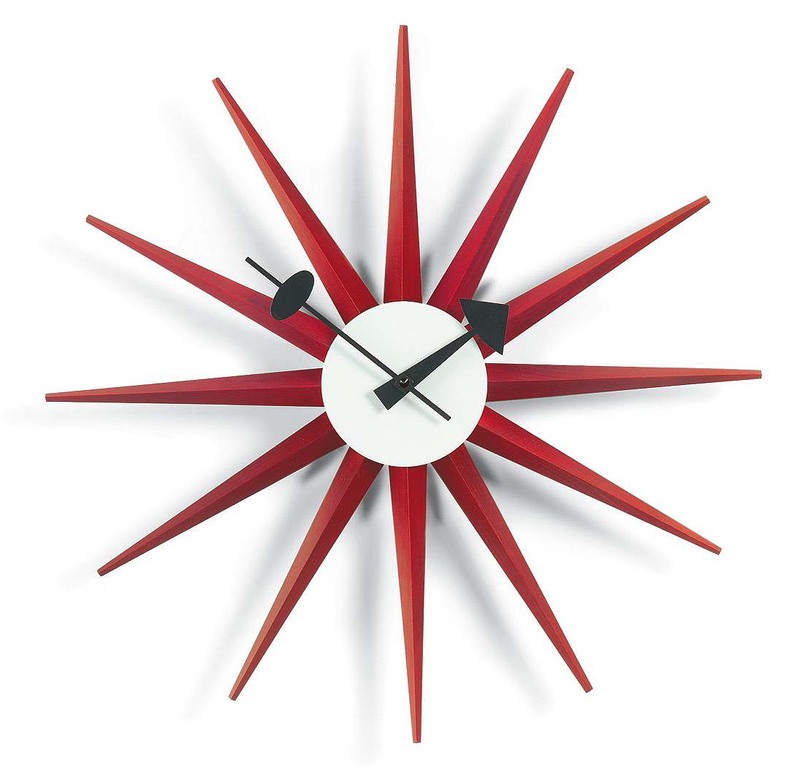 The clock becomes a visually entertaining and appealing focal point in the room. 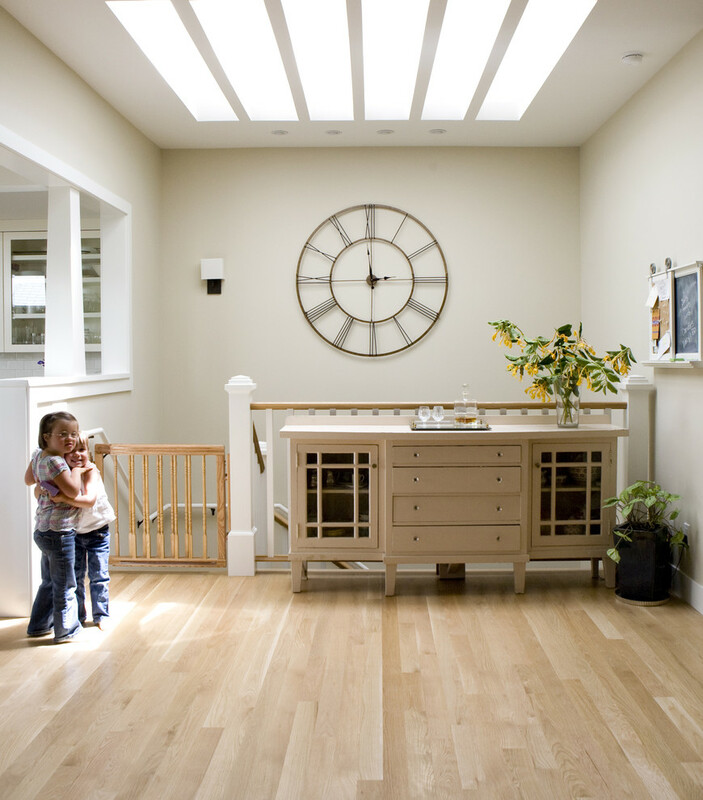 It can provide the room with a lot of character and personality. 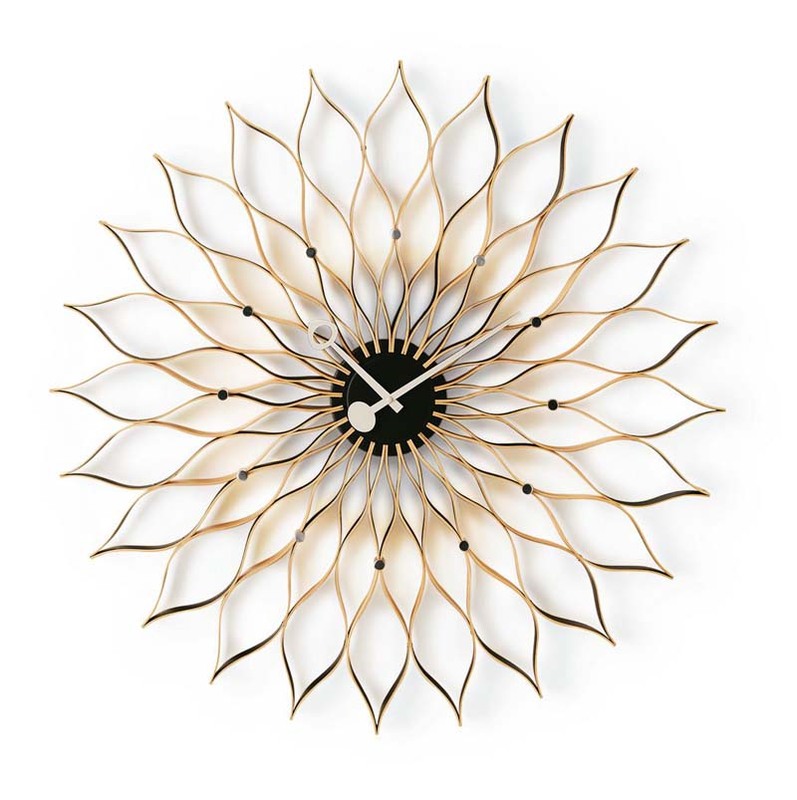 There are enormous variations and decorative options. 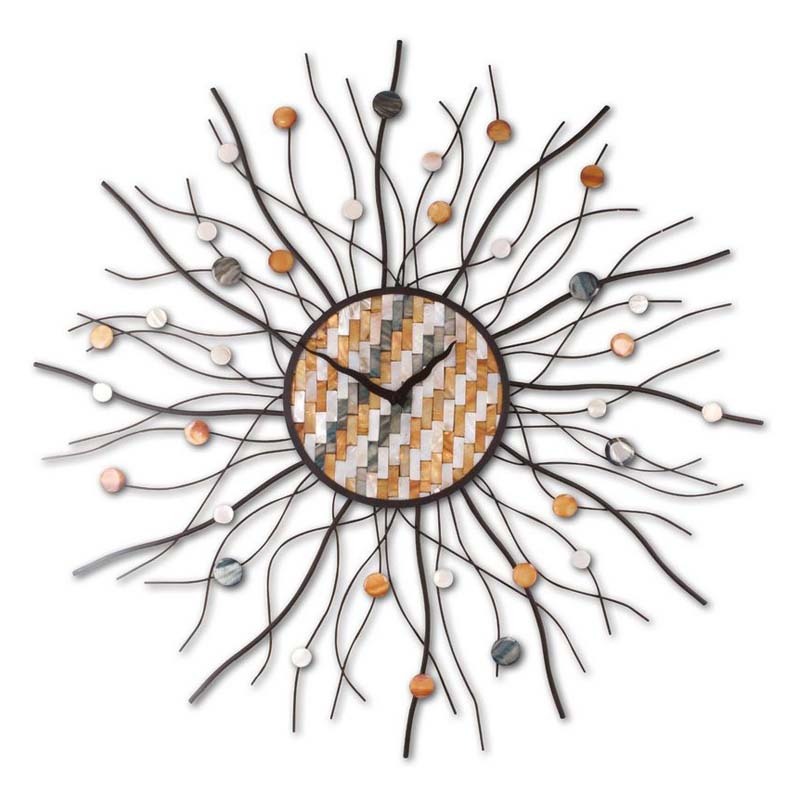 This post is just a small sample of some of the many creative wall clocks available by dozens of retailers. 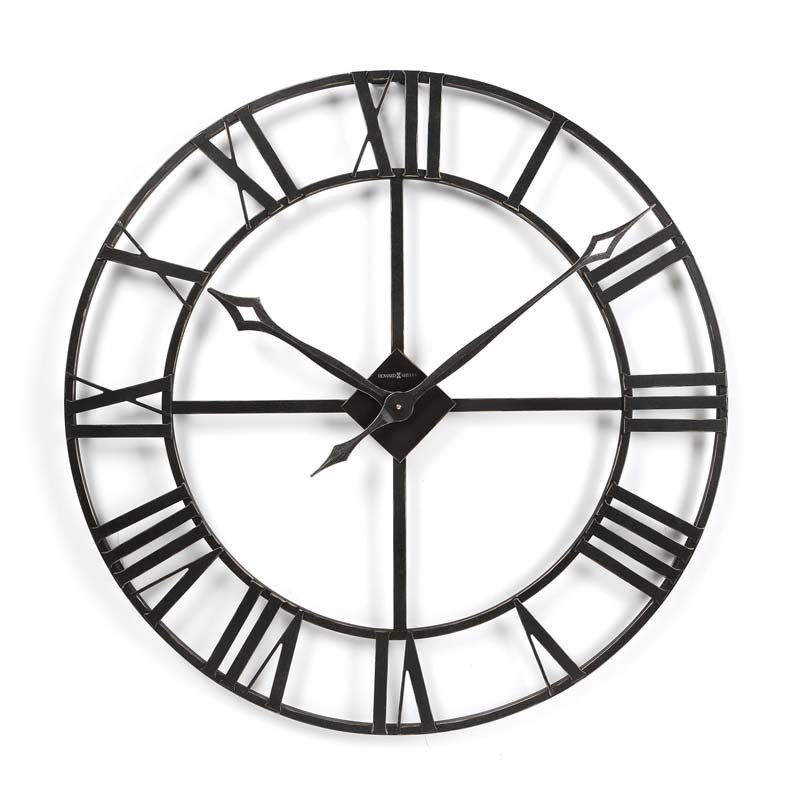 A creative wall clock is chic, contemporary home decor and a house just isn’t a home, without a big clock in it. 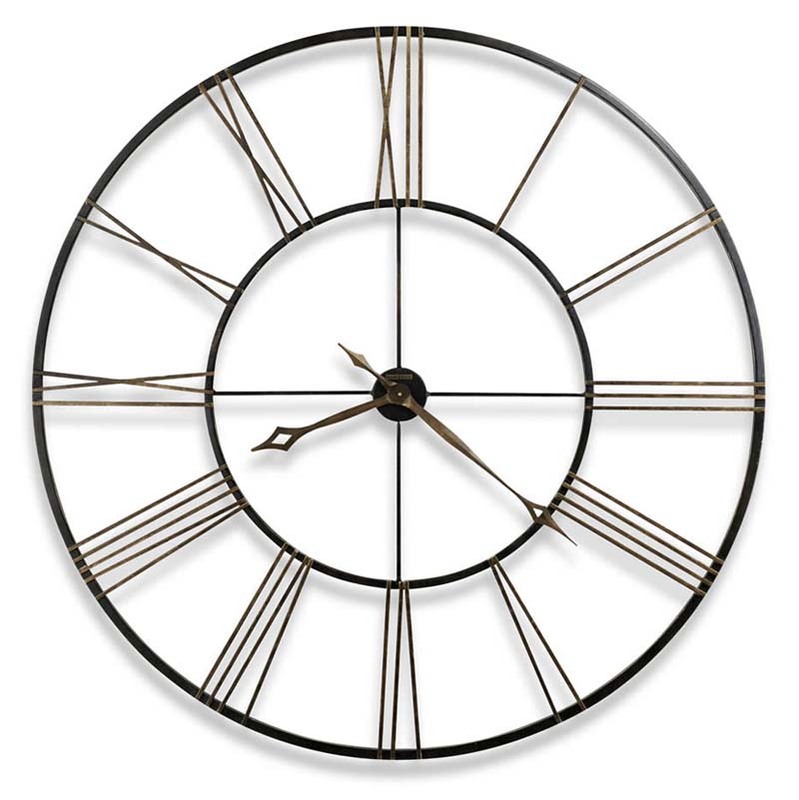 Please Click Through to Each Image You Like for Purchase or Pinning. 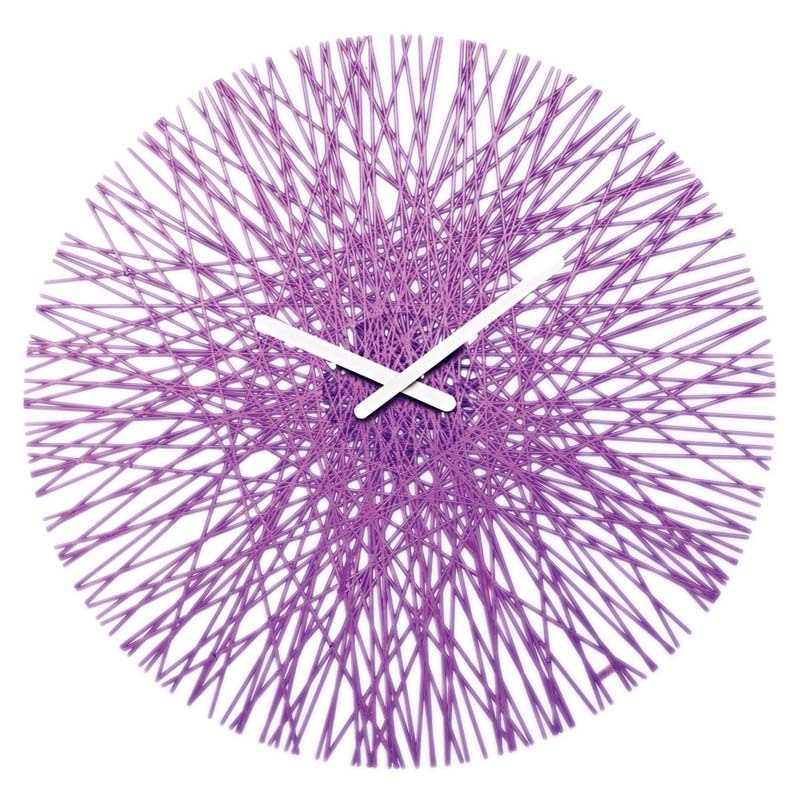 Koziol Silk Wall Clock in Pantone’s Radiant Orchid! 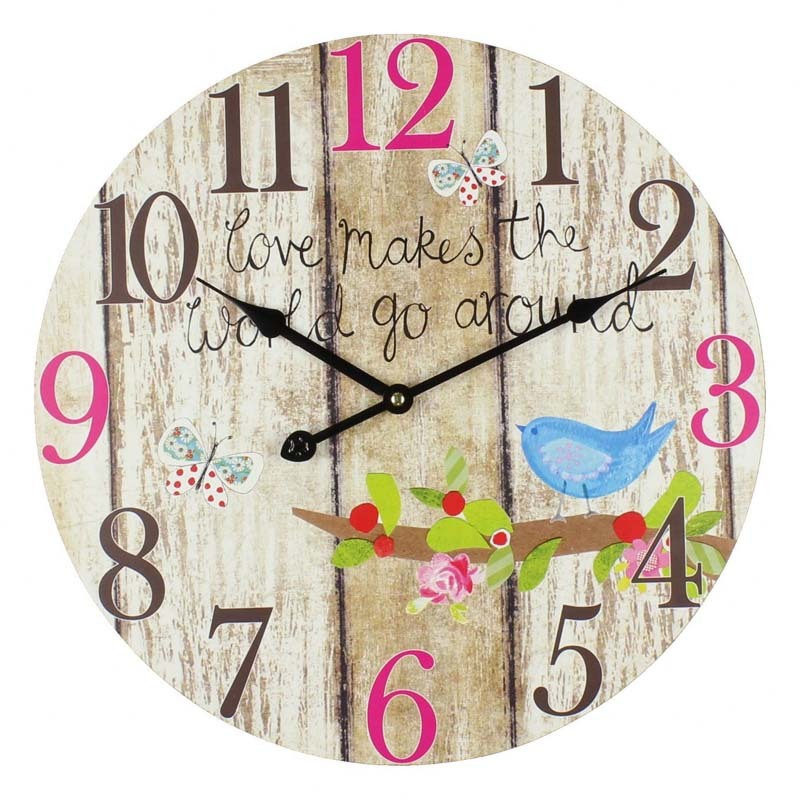 I’ll be adding this to my new Radiant Orchid Pantone 2014 Pinterest Board! 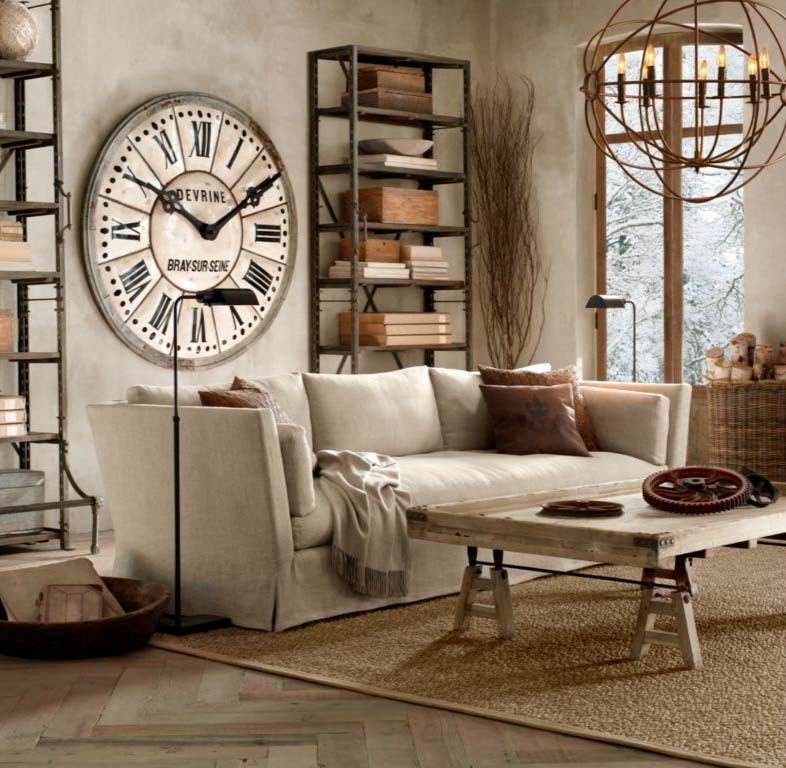 Check out how attractive this oversized wall clock is in a room decorated with shelving from Restoration Hardware.